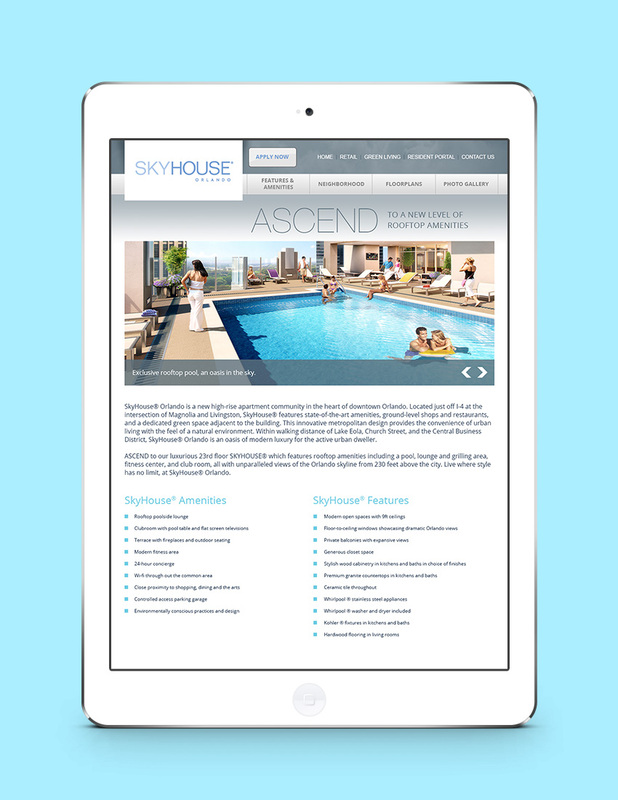 SkyHouse Orlando, a newly constructed high-rise apartment community in Orlando, offers breathtaking views of Orlando’s downtown area and incredible rooftop amenities. 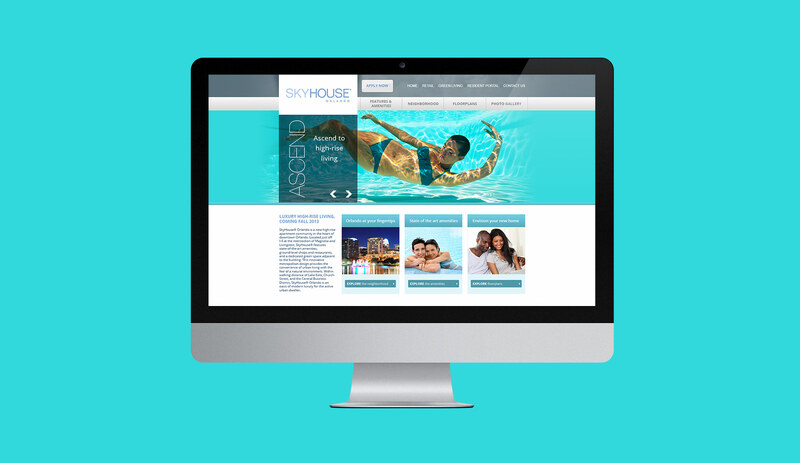 The site promotes the community’s innovative and state-of-the-art amenities and distinctive interior features. The location is highlighted by showcasing the retail, restaurants, nightlife, and entertainment within walking distance of the high-rise. 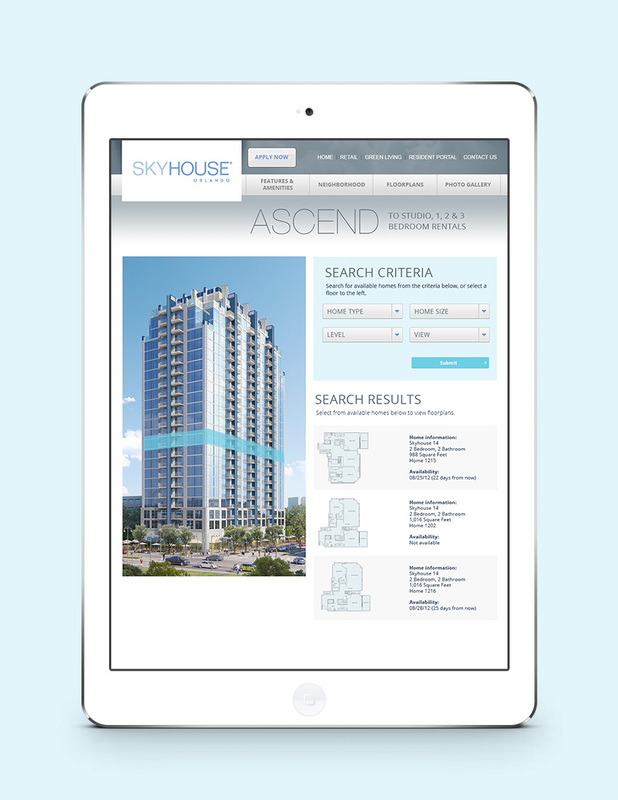 A key feature of the site is the interactive home-finder, which allows new potential customers to view every floorplan on each of the building’s 23 floors. From there, a real-time availability function allows the user to locate available homes on the floor of their choice. 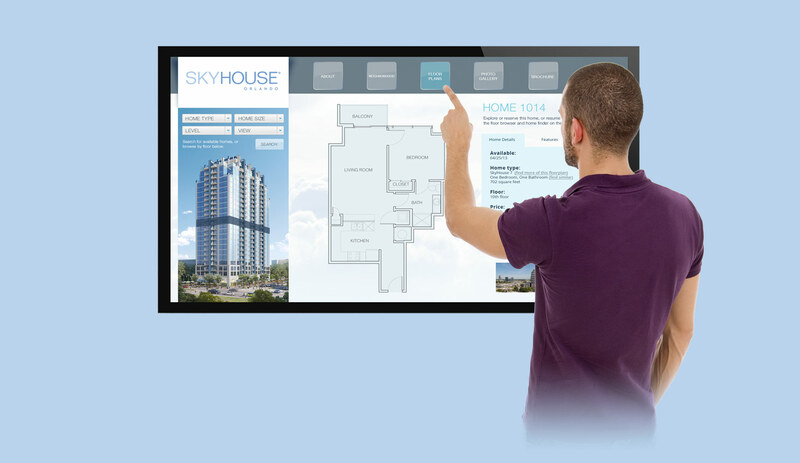 Another digital product designed for the community’s customers included anative application running on a 52″ touchscreen LED monitor in the high-rise’s leasing center. This product allowed guests to explore the property and its surroundings, print brochures and floorplans, search real-time home availability, and even preview the breathtaking views from every single apartment before deciding whether or not they are ready to sign a lease.